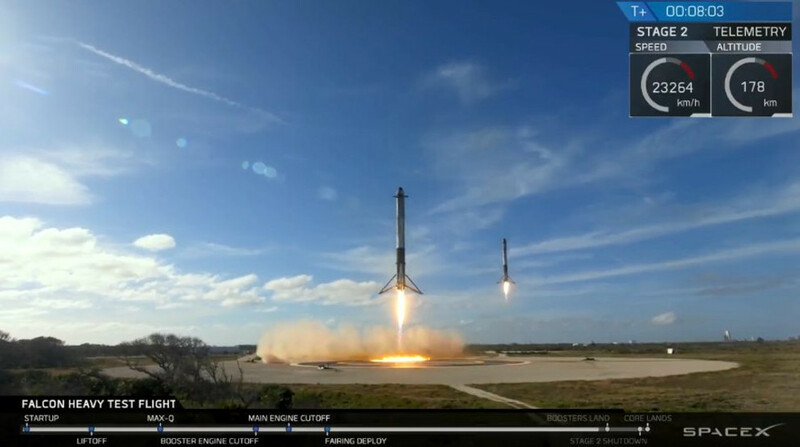 Today SpaceX successfully launched the Falcon Heavy on its first launch attempt, an event which could arguably be called historic. Not just for the successful launch, but also because of the successful landing of the two side boosters. High level winds almost delayed the launch a day, but with 15 minutes left in the launch window the Falcon Heavy blasted off the launch pad. Even if you weren’t in attendance, it was still thrilling to watch. 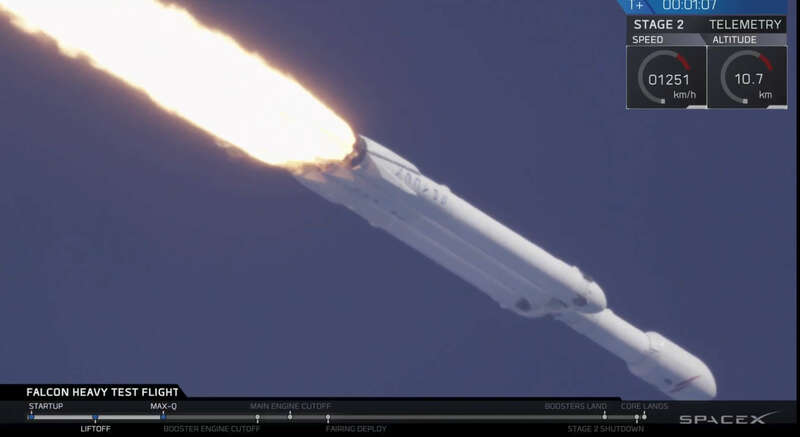 The Falcon Heavy could launch again within three months with a paying customer on a mission to deliver a large satellite to geostationary orbit. 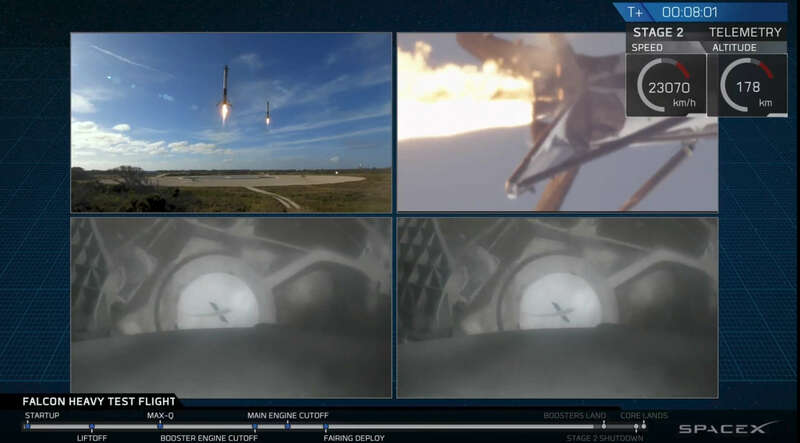 A short time after launch Elon Musk tweeted that the second stage was proceeding nominally. We’re still waiting on word if the center core first stage landed successfully on the SpaceX drone barge off the coast of Florida. 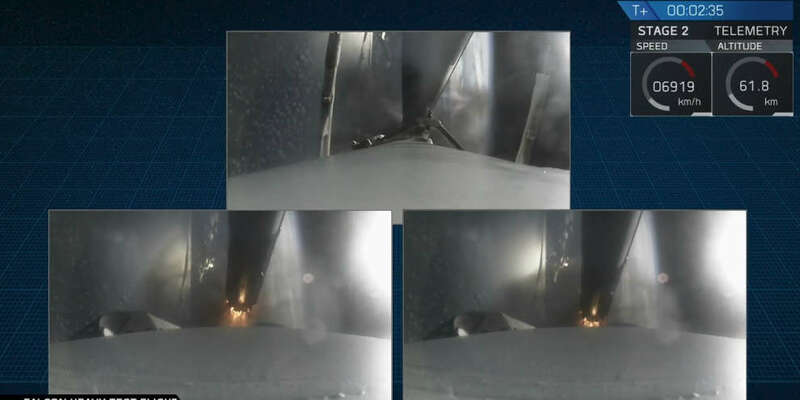 SpaceX Falcon side boosters landing. 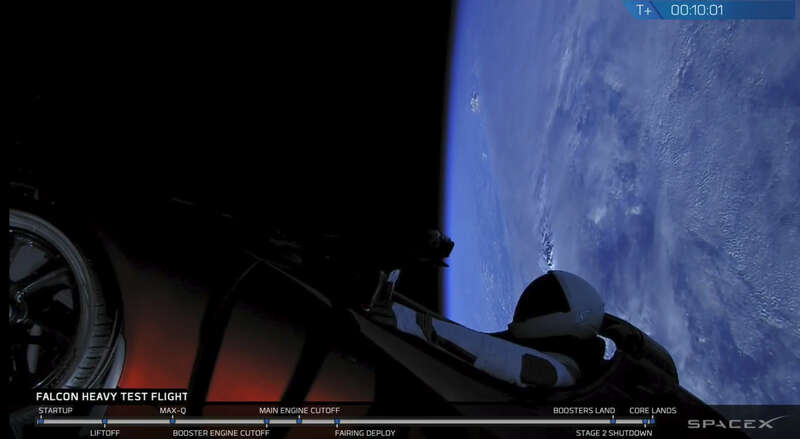 All images credit: SpaceX.